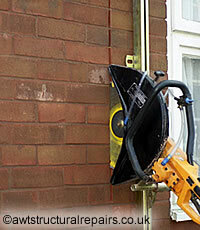 Action Wall Ties are a local company that specialise in repairing brickwork, lintels and cavity wall issues. Get the experts in to fix it properly. It’s cheaper and less hassle than keep getting inadequate repairs done by a general builder. AWT’s skilled staff can identify the root cause of structural problems. Using their specialist equipment they can finish the work faster and with less disruption than a general builder. Minimal visual impact repair methods, ideal for period properties. Don’t risk the investment you have made in your home. Don’t delay repairs, the problem may get worse. Contact Action Wall Ties for a free estimate*. If you have specialist stone repair issues for marble, granite or travertine we can recommend Revive who can repair everything from tables and floors to statues and historic buildings. Both of these recommended companies operate in the South East of England and provide a friendly and helpful service. This entry was posted on Monday, December 18th, 2017 at 11:27 am	and is filed under Businesses, Contractors. You can leave a response, or trackback from your own site.